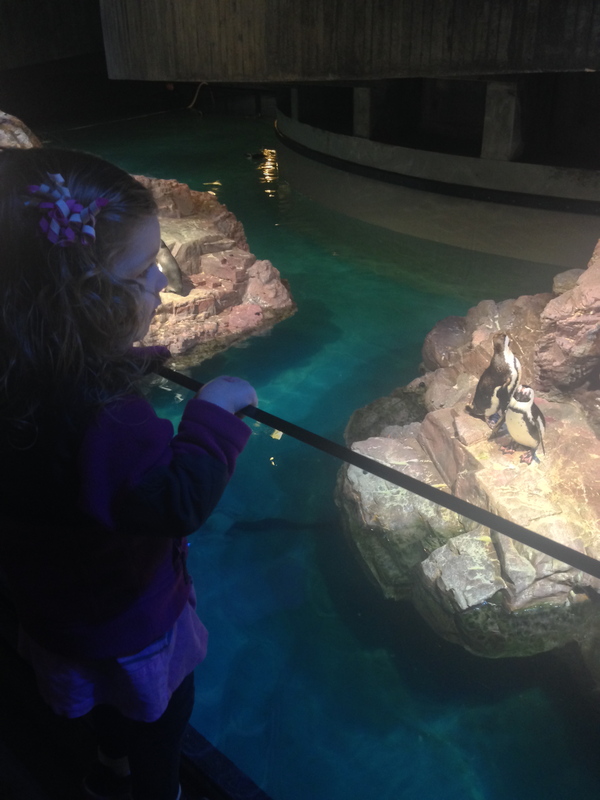 A year ago we decided to visit the New England Aquarium over Alex’s spring break and ended up with a year long membership. It ran out on March 31, and I wanted to take Audrey for one last visit before it expired. 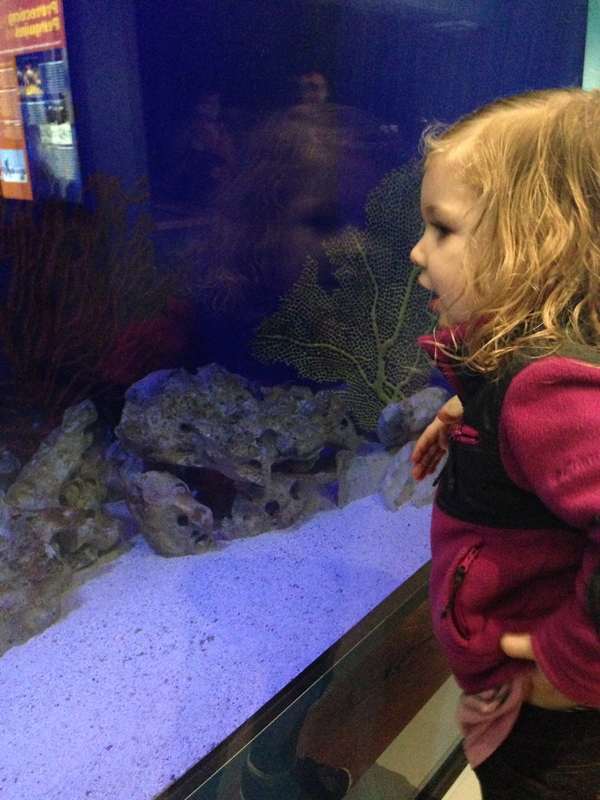 Over the year we went to the aquarium as a family, with friends, and with Tiffany twice (lucky Tiffy…or not! Thanks for being a trooper, Tiff). But I had never taken Audrey alone, just the two of us. So we went! 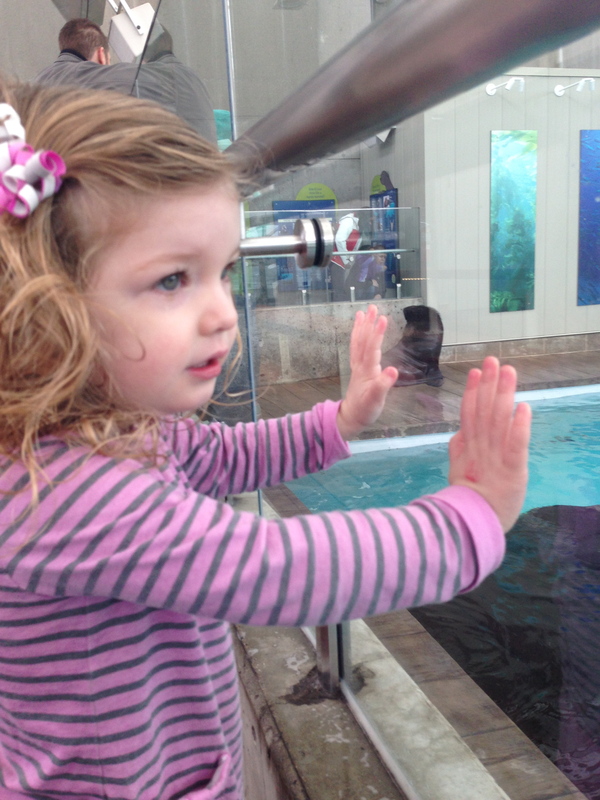 It was a cold, wet day in Boston when we made the 1/3 mile trek from the cheap parking garage to the aquarium. When we arrived, we paused briefly to watch the sea lions out front. Audrey seemed unfazed by the weather. 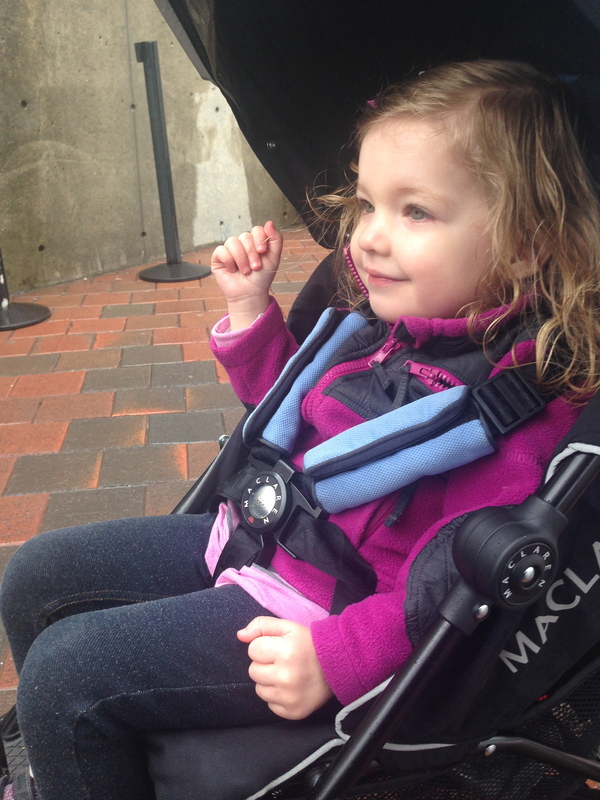 After venturing inside and checking the stroller, our first stop is always the penguins. Fortunately, on this day it was relatively uncrowded, so Audrey could have plenty of room at the toddler-level viewing window. 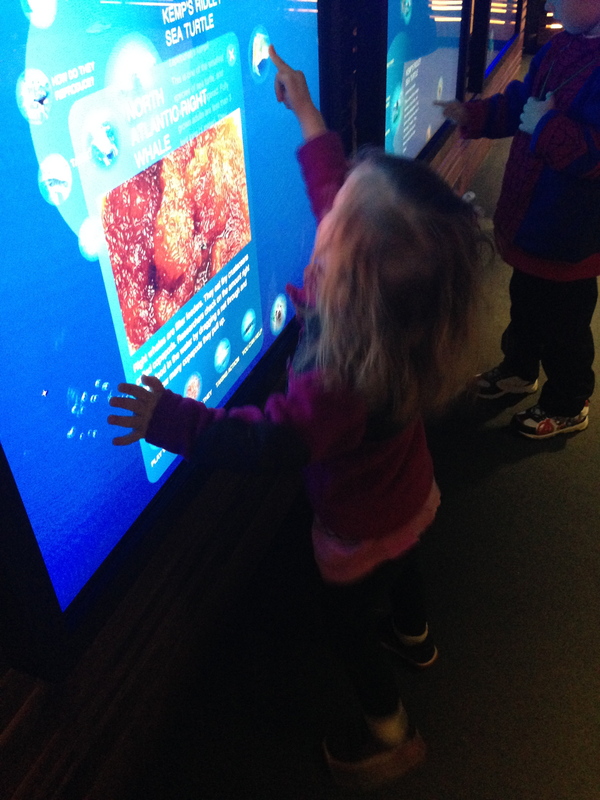 Next was a quick stop at the always-popular touch screen. Then the shark eggs and baby sharks. Next was a trip outside to see the seals. Audrey was mesmerized by them the very first time we visited and still very interested on this trip, too. Then, it was back inside to the huge fish tank. I let Audrey stand on the sill and take in the fish. I love that she is captivated by something so simple. 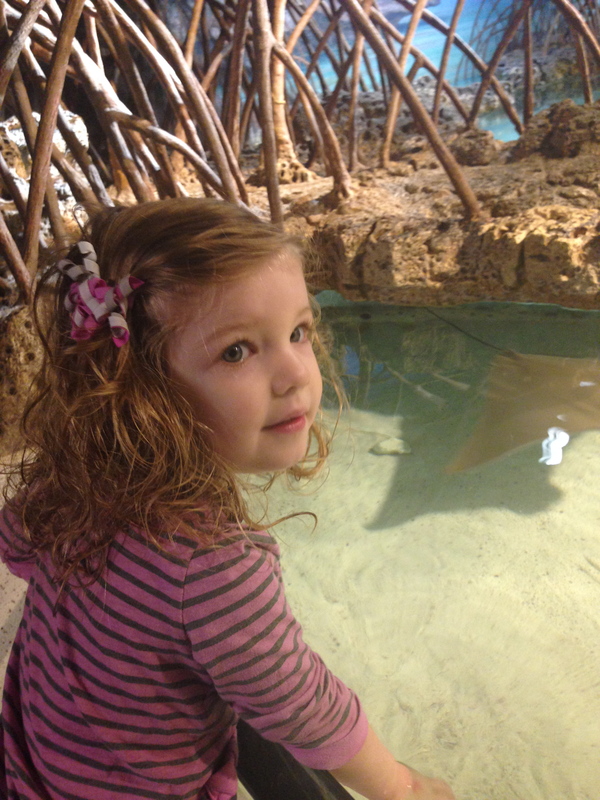 The last stop is the touch tank with the sting rays and the sharks. By this visit, Audrey had finally learned not to splash the water and was THRILLED each time her little fingers brushed a ray. 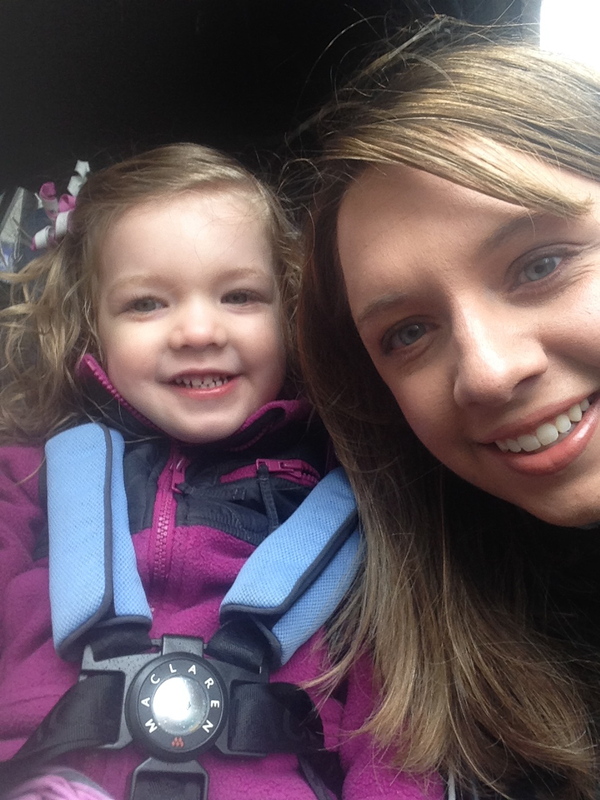 Looking at this last photo, I can’t believe how big my little girl looks. Even though our visit was quick (less than an hour) it was such a sweet time for just the two of us. 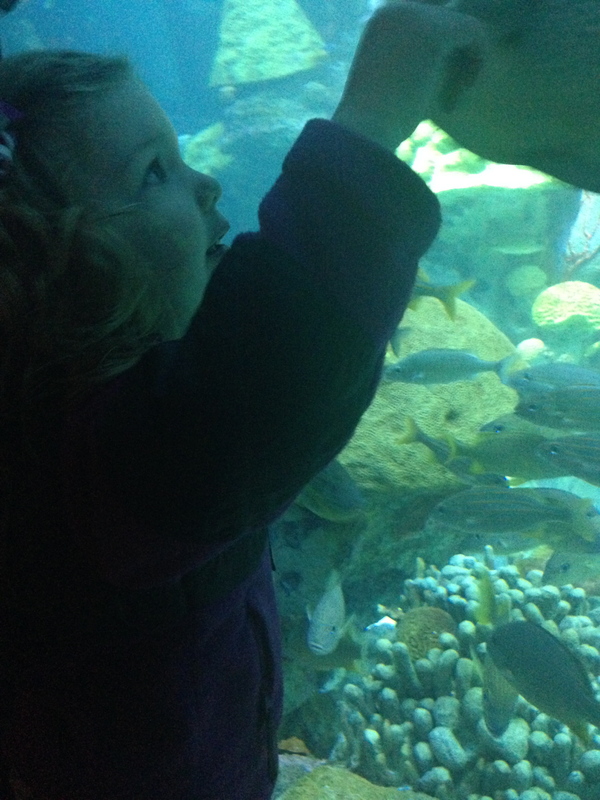 Hooray for the aquarium!